The sounds you make while chewing have a significant effect on the amount of food you eat, a new study has found. The results suggest that people are likely to consume less if they can hear themselves eating. 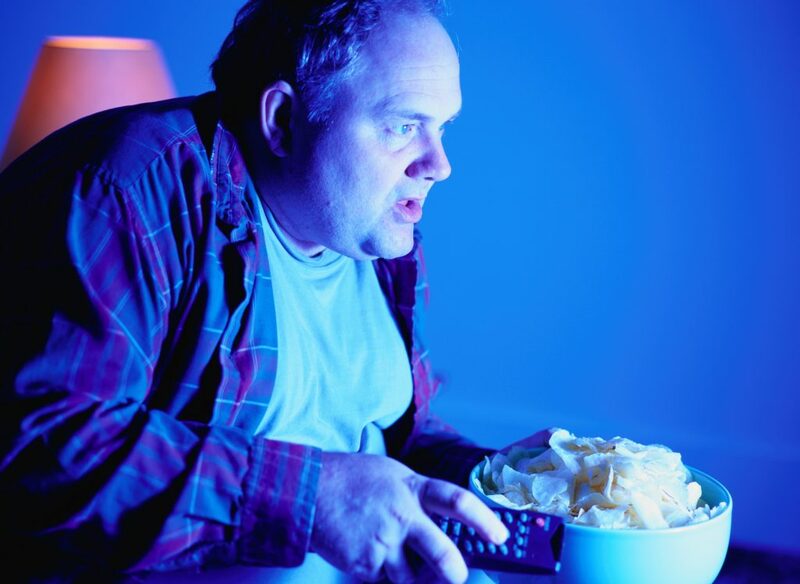 Researchers at Brigham Young University and Colorado State University have found that your TV, radio, and computer are making you fat. Not by bombarding you with food ads (though they totally are) but by blocking the sounds of your chewing. In a recent study, they found that the noise your food makes while you’re eating can have a significant effect on how much food you eat. “For the most part, consumers and researchers have overlooked food sound as an important sensory cue in the eating experience,” said study coauthor Gina Mohr, an assistant professor of marketing at CSU. The team carried out three separate experiments to quantify the effects of “food sound salience” on quantity of food consumed during a meal. In one experiment, participants were given snacks to eat while they wore headphones playing either loud or quiet noises. The ones loud enough to mask the sound of chewing made subjects eat more — 4 pretzels compared to 2.75 pretzels for the “quiet” group. In another of their experiments they found that just having people hear chewing sounds through an advertisement can decrease the amount they eat. Elder and Morh call this the “Crunch Effect.” The main takeaway of their work should be the idea of mindfulness, they said. Being more mindful of not just the taste and physical appearance of food, but also of the sound it makes can help consumers to eat less. “When you mask the sound of consumption, like when you watch TV while eating, you take away one of those senses and it may cause you to eat more than you would normally,” Elder said. So the next time you sit down for a meal, take your headphones off and mute the TV. Or find a movie where there’s a lot of very audible chewing. The full paper, titled “” has been published online in the journal Food Quality and Preference and is available here.